I don’t read a whole lot of nonfiction unless it’s for research purposes. When I do, I don’t usually choose books focused on American presidents. However, I spotted a review of Destiny of the Republic by Candice Millard over at Reading for Sanity and I was intrigued. 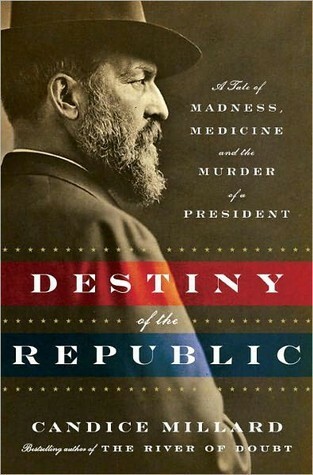 The book, subtitled: "A tale of Madness, Medicine, and the Murder of a President," is the story of the assassination of President James Garfield. Elected in 1880, Garfield was only four months into his presidency when an assassin tried to take his life. The gunshot wounds were not immediately fatal. In fact, they very well might not have proved fatal at all but for the medical attention Garfield received–repeated non-sterile probing of the wound–that caused him to eventually die of infection, his body riddled with abscesses. A few years ago, I read a short history of medicine in America book that included a short account of Garfield’s murder. Knowing as little as I did about Garfield, I found it interesting that his physicians had contributed so substantially to his death. I was curious to learn more. Millard’s account goes beyond the details of the assassination to paint a fuller picture of Garfield the man and to place him in the context of his times. Brilliant, affable, and reasonable, Garfield had been nominated at the 1880 Republican convention against his own will and had no desire to become president. However, he was very well regarded and the consensus seems to be he would have been an exceptional president. The assassin’s life story and motivation for murder was also explored. A loner who bounced from failure to failure—spending time in a religious commune, as a lawyer, as a traveling evangelist, even a short stint in prison—Charles Guiteau had grandiose visions of his own importance. His own family members were certain he was insane. Upon Garfield’s election, Guiteau became convinced that he would be given a high position in the government. He traveled to Washington and began haunting the White House, writing numerous letters to Garfield and to other prominent men explaining his expectations. Eventually his delusions took over completely, and he decided Garfield had to be "removed." He bought a gun, looked for the opportunity, and shot him. The record continues with the disastrous medical care Garfield received. It also includes a discussion of Alexander Graham Bell and the attempts Bell made to hurriedly invent a device to locate the bullet lodged somewhere in Garfield’s body. For more than two months, the doctors (particularly the arrogant and painfully wrongheaded Dr. Willard Bliss) hovered about, making things worse, while Garfield died a slow, painful death without ever losing his dignity or gentlemanly demeanor. In this straight-forward, well-organized narrative, Millard blends politics, history of medicine, and a touching love story to show that Garfield’s story was a fascinating one even if his presidency was tragically short-lived. When I finished The Passing Bells by Phillip Rock, a WWI saga, I knew I had to read the sequel. I fell in love with the Greville family and their friends and was pleased to learn that the author had continued the tale into the years between the wars. Circles of Time begins in 1921. (I thought this was an interesting coincidence, having just finished Crossing on the Paris by Dana Gynther, also set in 1921.) One of the protagonists, Martin Rilke, an American cousin, who had risen to prominence as a war correspondent, now returns to England to act as bureau chief for an international news corporation. Martin meets up with his old friends. These include Fenton Wood-Lacy, a young colonel who had not been afraid to speak the truth about the war and is now being punished for it, and Charles Greville, heir to the earl of Stanmore, an honorable soldier and commander that the war has left shell-shocked, unaware even of his own identity. The beautiful Greville daughter, Alexandra, has also returned, now a widow with a young son. The characters so familiar from The Passing Bells have all grown and changed since the war, yet they are still fundamentally the same. Circles of Time shows how they pick up the pieces and move on with their lives. Times have changed. Morals have definitely loosened from pre-war behaviors. New music and new drinks have swept across the Atlantic from the U.S.. There are also bitter and divisive politics to contend with both in England and in Germany. In fact, Martin’s role as a journalist and Fenton’s posting to Iraq demonstrate how fragile a peace the war has left them. Life goes on. In Phillip Rock’s inter-generational saga, it is easy to get caught up in multiple interwoven lives that do keep marching forward through the fascinating events of the history of the times. Although this book seems to skim a little bit more lightly over the surface than did The Passing Bells, it still had an emotional impact. I’m not sure though, that I would have cared about the people in this book so much if I hadn’t met them previously in book one. I’d recommend reading that one first. The characters remain compelling and the history lessons are varied and fascinating. I'm going to have to seek out the third book in the series because I'm still curious about the future of this fictional family. In 1921, the massive luxury liner, the SS Paris, departs from the French port Le Havre for New York on its maiden voyage. 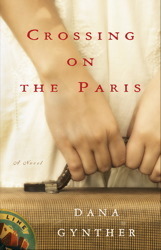 There are thousands aboard and no doubt each has his own unique story to tell, an interesting reason for making the voyage, but Crossing on the Paris by Dana Gynther focuses on three women. For these three, the crossing is more than just a physical journey. It’s a time of self-examination and self-discovery. First Class passenger Vera Sinclair is a wealthy, elderly American ex-patriot returning to New York after a lifetime in Paris. Despite a short-lived marriage, numerous love affairs, and many friendships, she is returning home to die alone. She has been diagnosed with breast cancer and her slow deterioration has frightened away the man she considered her closest friend. On the journey home, re-reading her journals, she’s left to wonder if the accumulated wisdom of old age is any wisdom at all. And what use is it to anyone? Second Class passenger Constance Stone is a beautiful mother of three. A young woman, married to a man much her senior, she is also the daughter of a distant mother who has drifted into madness. Her father has sent her to Paris to bring home her Bohemian younger sister in hopes that the sister’s return will help restore her mother. While deep down Constance knows the hope is futile, a part of her is tired of being the responsible older sister, stuck dealing with the family woes. Seeing the romance of her sister’s life brings home for her the lack of romance in her own marriage. Her husband is admittedly dull. While on board the ship, she can invent a pretend life for herself. But how far is she willing to pretend? Down in steerage, Julie Vernet in an employee not a passenger. She is a maid working with the lower class passengers emigrating to New York. A petite, shy girl, Julie’s life has been one of quiet despair since her four brothers were all killed in the Great War. She needs a new start. Julie’s shipboard experiences are eye-opening and ultimately appalling as she learns how to navigate the world beyond Le Havre. The three women’s paths cross and cross again as the trans-Atlantic journey progresses. These are lovely character sketches. I found myself sympathizing with all three women and pulling for them to make the right choices. The descriptions of the luxury liner as well as the detours into the lives of the women off the boat were all beautifully detailed. When N.Y. harbor comes into sight, the book draws to a satisfying conclusion. This was a perfect pre-Holiday read. 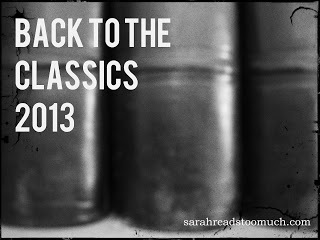 Sarah at Sarah Reads too Much is once again hosting the Back-to-the-Classics Challenge. I've participated the past two years and was excited to hear the announcement of the categories for this year. I've spent a little while pondering my choices. 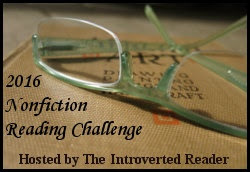 In this wonderful challenge, readers have the opportunity to prod themselves to tackle great works of literature. These may be classics that they have been intending to read for quite some time but just haven't managed to get to yet. (I find myself combining a couple of these books with the TBR-pile challenges.) Or, sometimes the categories may inspire a choice of classic that would not otherwise have ever made it onto the TBR list. Either way, it's a challenge I have to undertake! And here are the categories with my choices. I'll be linking my reviews back to this page. I don’t read a whole lot of mystery, but I do love Arthuriana. Two years ago, (I can’t believe it was that long ago!) I read Tony Hays’ The Killing Way, a political murder mystery set at King Arthur’s court. The "court" was not the typical court of Arthurian legend. It was a grittier, more brutal setting and the story was awash in political intrigue as well as the murder mystery. The hero of the story was Malgwyn, the keenly intelligent, one-armed counselor of the king who was damaged in more ways than one. 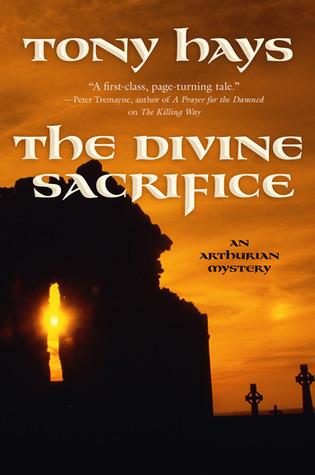 I thoroughly enjoyed The Killing Way, so much so that I rushed out to buy book two in the series: The Divine Sacrifice. For no reason I can explain, that book has languished on my TBR pile. Thanks once again to the Mount TBR challenge, I’ve rescued a must-read from that pile, which is really more of a bottomless pit. In The Divine Sacrifice, we meet up with Malgwyn again, shortly after the goings-on of book one. Arthur has another task for his trusted counselor. He is making a trip to Glastonbury Abbey which is in the vicinity of a castle held by Lord Lauhiir. Arthur has some arguing (over taxes and church construction) to do with the abbot and he has even more unpleasant business with Lauhiir. The young lord is supposed to be strengthening the castle as an outpost for Arthur, but everyone knows that Lauhiir is not truly a supporter of Arthur’s kingship. So, Malgwyn is supposed to help check up on things. While they are on their short journey, Malgwyn learns two unpleasant facts. One: Saint Patrick will be arriving at the abbey at the same time. This highly esteemed man of the church has come to root out a heresy that has supposedly infected the abbey and its surroundings. Two: an elderly monk has been murdered. Malgwyn shifts to detective mode as he is asked to solve the mystery of the monk’s death. Naturally, there is more to it than a simple murder. Malgwyn finds layer upon layer of deceit, involving not only the abbot, but also Saint Patrick and another newly-arrived elderly monk in Glastonbury. How are all the lies related? And there are worse things afoot than the murdering of monks. Lauhiir has been up to something. He was involved somehow with the dead man. What is being hidden? And how will it affect the kingdom of the lord King Arthur? And now, I’ve completed the Mount TBR challenge hosted by My Reader's Block, which means I’ve made it through all my 2012 challenges. Hooray! The winner was chosen using random.org. I've sent Denise an email. If I don't receive a response by by the 26th, I'll move on to the runner-up. Thanks to everyone for entering and for participating in the hop. 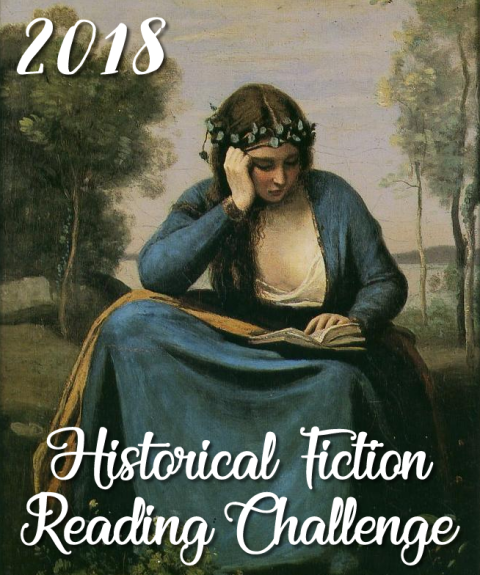 It was a lot of fun discovering so many other historical fiction fans! 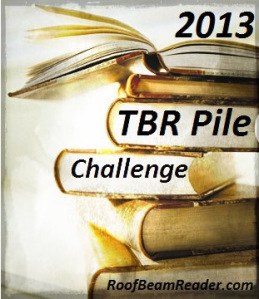 I'm ready to sign up for my second challenge for 2013-- the TBR pile challenge, hosted by Roof Beam Reader. Since I'm at 11/12 books for this year's TBR challenge, and think/hope I'll finish off the last book before year's end, I think I'm up for the 2013 challenge also. This year I'm signing up for a different TBR challenge just for a little variety and because I like the idea of trying to commit to the books ahead of time. Looking at my overfull shelves, I see so many books that I was thrilled to purchase, eager to read, and yet, pass by again and again when I'm looking for "that next book to read." What a sense of accomplishment I'll feel when I finally get those pages turned. I won't have quite so much guilt about buying more books. 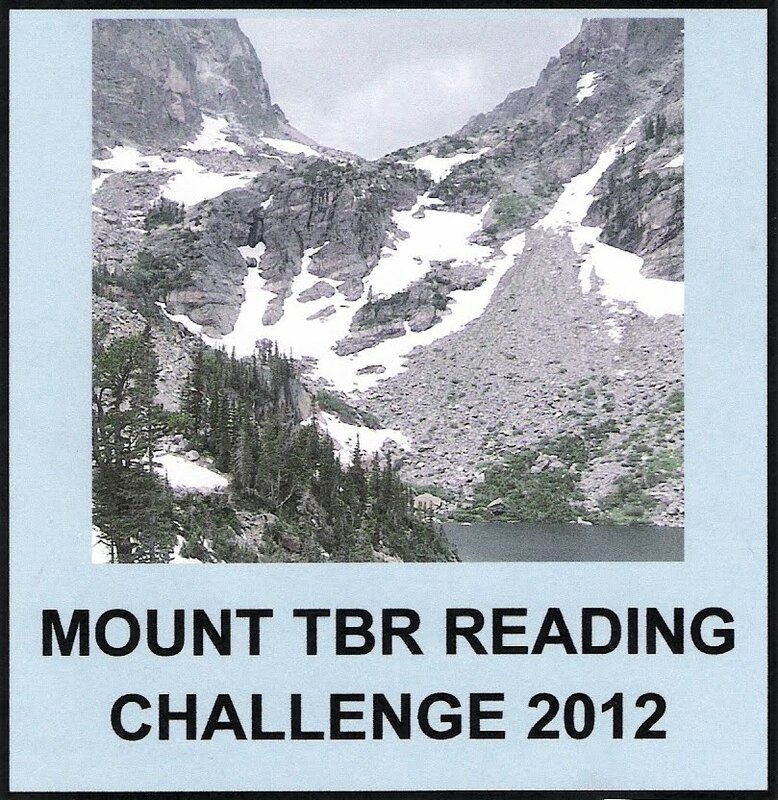 Roof Beam Reader's challenge is to read 12 books in 2013. They have to be published in 2011 or earlier, so that they've been sitting on your shelf for at least a year. You have to pick them out ahead of time, but you are allowed two alternates, just in case. The books all have to be reviewed and then linked back to RBR. Check out THIS POST for detailed instructions and to find the linky. 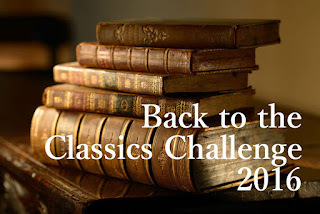 I love the Back to the Classics Challenge. 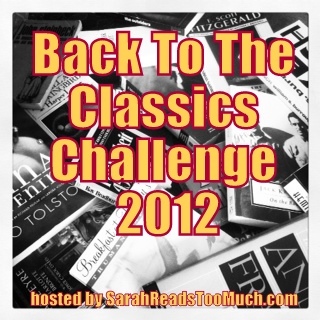 (Thank you to Sarah at Sarah Reads Too Much for hosting!) It prods me to open up those books I've been meaning to get to and to actually read them. It also challenges me to put a few things on my list that I probably never would have read otherwise. I'm looking forward to picking out my books for the 2013 challenge, but in the meantime, here are the books I read for this year's challenge, with links to reviews. 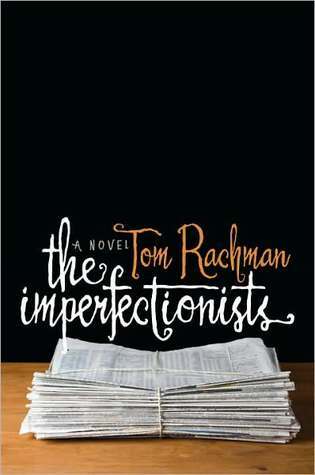 Two years ago, my sister recommended The Imperfectionists by Tom Rachman to me. She hadn’t read it yet, but she was buying it on a recommendation from someone she knew. I was visiting her at the time, we were shopping, I was in a book buying mood, and so, the book was purchased. It has been sitting on my shelf ever since. Well, thanks to the Mount TBR challenge hosted by My Readers Block, and the fact that it is now December and I still had two books to go to meet my goal, I plucked the book from the shelf. The Imperfectionists is a collection of short stories that make up a novel. Together they cover the fifty year life span of an international English language newspaper published in Rome. The majority of the employees are American expatriates and each chapter/short story centers on a slice of life of one of these employees. The newspaper was founded by a millionaire entrepreneur who made a gift of its editorship and management to a husband and wife journalist/editor team. No one quite understands why. He abandoned his wife and son in Atlanta and moved to Rome to oversee the paper, so its thought to be quite mysterious. But it’s pretty clear to the reader why he did it. Born in the fifties, the paper went through a heydey, an expansion, and an eventual, inevitable decline. The characters introduced in the stories are primarily those there in the paper’s later years, although we do see some flashbacks into the history of the paper as well. The writing is crisp and the people sharply defined. Through them, we get a view of the inner workings of the newspaper and of the "family" of employees as they see themselves and each other. Rachman does a good job of drawing individuals with believable problems and true-to-life relationships. However, the book is rather a downer. Not only is the slow death of print journalism painful to read about, but the majority of the characters are fairly miserable. They are lonely, dissatisfied, disgruntled, and/or insecure. I understand this is what makes for good literature. Happy characters are only allowed to show up in romance. But somehow, when each chapter is a profile of a different sadsack, I start to think- ugh. Is this really supposed to be a realistic picture of modern life? Do people actually despise their friends/coworkers, cheat on their spouses, and hate their jobs with such a sickening passion? The most upbeat part of the book was the conclusion. The paper died. Life went on. I wanted to imagine life got better for each of the characters when they were no longer tied to a sinking ship. But maybe it was the people dragging down the paper rather than the other way around. That last paragraph sound much more negative than it should, because I read this book in two sittings, quite captivated. It really is a very good book. Sure, it made me sad and a little bit irritated, but there was no way that I was going to put the book down without finishing it. Welcome to the 1st Annual Historical Holiday Blog Hop, hosted by Passages to the Past. Hop over to the host site to enter to win some amazing grand prize packages. 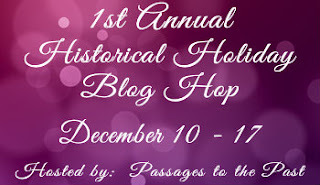 And hop around to the other participating blogs to discover what the other historical fiction fans are offering as prizes. I'm hoping to find some great books to add to my TBR list whether I win anything or not! I'm offering a Medieval Historical Mini-Prize Package, including three novels to go to one winner. The first is: Illuminations. A Novel of Hildegard von Bingen by Mary Sharratt. Link to my review here. 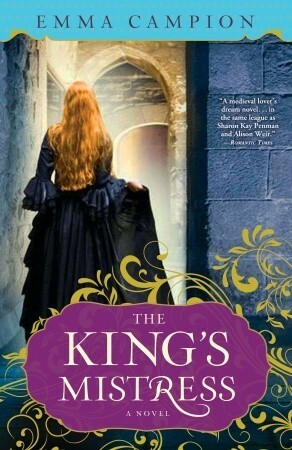 The second is The King's Mistress by Emma Campion. And my book is: The Queen's Daughter. To enter (Sorry but for readers in the US only this time around): Leave a name and email address in the comment section. You don't have to be a Reading World follower, but if you are a follower (GFC or email subscriber) you'll get one extra entry. Please make a note in the comment if you are a follower so I'll know to count your extra entry. 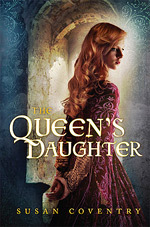 Here’s something I really enjoy: good old-fashioned, multi-POV, epic historical fiction. It’s what I cut my teeth on. And even though I don’t read as much of it these days (it seems to have fallen out of fashion somewhat) when I do read one of these novels, I’m hooked. I saw mention of The Passing Bells by Phillip Rock at Historical Tapestries, actually a guest post by The Savvy Reader, that talked about favorite WWI books. The Savvy Reader recommended the book for Downton Abbey fans. I haven’t seen the show but people have told me I would enjoy it. A book described as Downton Abbey-like sounded like the next best thing. My library had a copy so. . . 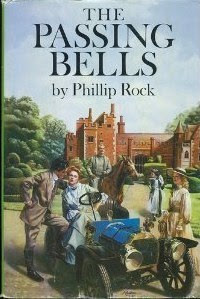 The Passing Bells is the story of the Greville family, including Anthony Greville who is the 9th earl of Stanmore, his wife the countess, his two adult sons (Charles and William) and a daughter (Alexandra), friends of the family who are slightly lesser in rank-- Captain Fenton Wood-Lacy and Roger Wood-Lacy, an heiress whom Charles is being pushed to court, Winifred Sutton, and an exceptionally wealthy and gorgeous neighbor/childhood friend, Lydia Foxe. The boys are in love with Lydia, but her father, Archie Foxe is not a gentleman. (He’s a perfectly nice man, it’s just he’s made his money in trade and has anti-aristocratic political views.) There is also an American cousin of the Greville’s– Martin Rilke, who is a journalist come to England intent on a 6 week or so European tour. His plans are disrupted. And then there are numerous servants in the Greville’s household, Abingdon Pryory (misspelling intentional). The most significant of the servants are the chaffeur/mechanic, Jamie Ross, and an upstairs maid, Ivy Thraxton. The novel introduces us to all these people, letting us know their backgrounds and their desires and what is keeping them from obtaining their desires. The rigid class system appears to be the driving force in each of their lives, whether they are reluctantly accepting of their positions or trying to clamber above their station (or marry below it.) The characters and their dilemmas are well-developed and were interesting enough to keep me reading, but the pace was pretty slow starting out. I had to keep reading because it’s the kind of book that if I put it down for too long, I might not have picked it back up--not at first. And yet, I didn't exactly want to put it down either. I was quietly sucked in. This book has been around awhile. It’s copyright is 1978. It’s a WWI novel, but here’s the thing. It’s 433 pages long, and it wasn’t until page 108 that a passing reference to the assassination of the Archduke of Austria appeared. The war did not begin until page 150. Before the men rushed off to battle, the author makes certain you are emotionally invested in the characters. And not just in the characters, but in what is happening to the home front. You understand the way of life, warts and all. The amount of time spent on character development is well worth it. Before the war, men are discussing the Serbia situation with little understanding and less interest. Once the war begins, they fight dutifully and patriotically, but there is little sense, from the novel at least, that winning will accomplish anything but the end of horrific, meaningless slaughter. In the meantime, the way of life that they knew was unraveling behind them. With the beginning of the war, the pace of the narrative picks up. By then, I was fully committed to the characters and I was quite deeply immersed in the war-time plots. With so many characters to follow, it did have a bit of a soap opera quality, moving from one storyline to another. Yet their lives were intricately intertwined so the overall story flowed well. As the war draws to its close, the book also drew to its devastating end. I didn’t realize just how addicted I was until I found myself requesting Book Two in the Greville saga, Circles of Time from the library. I want to know how they (the ones left) move on after the war. I’ve always been an obsessive reader. The love of books is what got me through college, kept me sane during medical school and residency, and ultimately led me to become a novelist. (...that is, love of books, lots of family support, and some luck thrown in!) This blog is intended to share my thoughts about some of the books I’ve read. Join in the conversation. I’d love to hear your thoughts, too! I buy my books, borrow them from the library, or friends lend them to me. 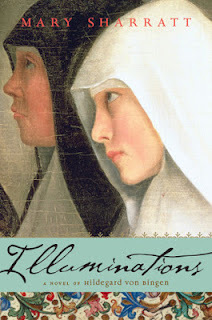 I also write reviews for The Historical Novels Review. Occasionally I may repost a review here (after it has appeared in print). Those books are free review copies. 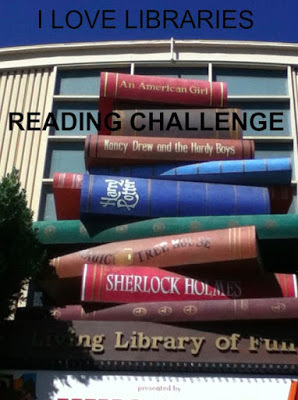 If I obtain a book in any other way, I'll disclose it.